Ethereum Trading, Buy and Sell Ethereum With An Australian Regulated Broker. Ethereum Trading, Buy and Sell Ethereum With An Australian Regulated Broker. Ethereum was created to address some of the transactional weakness of Bitcoin. Where as Bitcoin is a great holder of value, Ethereum is an improved blockchain that offers transaction speed, as well as some automated smarts called ‘smart contracts’ or contract triggers. Ethereum has some real world financial capability that supports two parties being able to transact without a middle man, but what Ethereum does that is better than Bitcoin, is that it allows such transactions to occur automatically, or against specific rules. So for example, if you entered into an Ethereum smart contract, you could have arranged to be paid automatically when a trigger even occurs. This allows rules to be setup around automated payments, negating the need for a middle-man process to manage the payment. Such smart contracts have enormous application in the real world in removing transactional delays that occur in current financial processes. What is the difference between trading Ethereum CFDs and buying Ethereum? Using traditional exchanges, you can buy Ethereum in the hope of selling it at a profit. Depositing into exchanges is notoriously difficult with deposit methods being difficult and cumbersome. The buying process is also complex, and requires you to buy Ethereum coins at market value, and you only make a profit when you sell and someone else buys your coin from you. In a falling market, this strategy may fail if you can't sell your coins. Trading with easyMarkets CFDs allows you to purchase an Ethereum market position at market value, without actually owning the coin. Instead of having to sell your coin to make a profit, you can simply close your position effective immediately. A buyer of your coin is not required, and you can walk away with your profits in seconds, rather than waiting for a buyer to purchase. 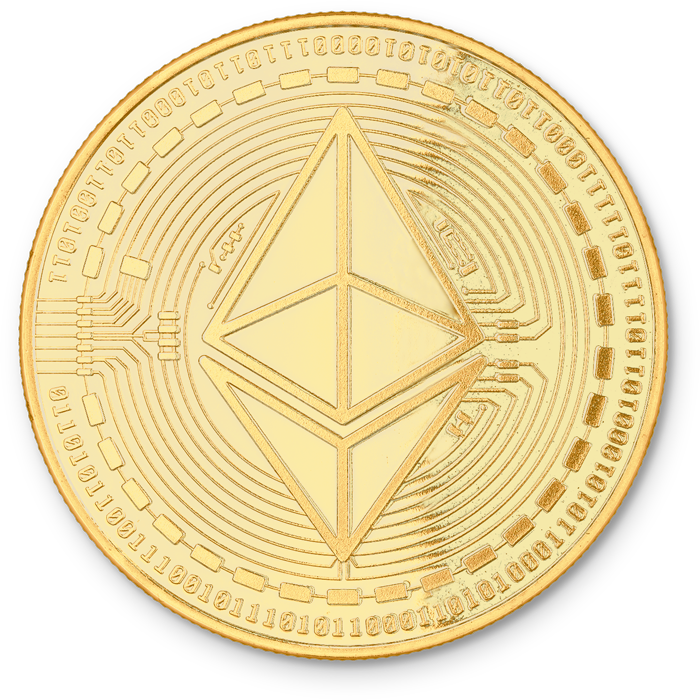 Ethereum contracts for difference (CFDs) give you access to the Ethereum market price without you having to purchase any Ethereum. This trading method provides an alternative way of trading because you don’t hold any actual Ethereum and also means you don’t need to use a wallet to store them. Ethereum is mostly quoted against the USD, so when you buy Ethereum on an exchange, you are selling USD and buying Ethereum. If the Ethereum price rises, you could sell it for a profit, however if Ethereum's price falls, then you end up making a loss on the trade if you close your position. When you trade Ethereum with easyMarkets CFD's, instead of taking ownership of Ethereum, you’re opening a position that can increase in value as Ethereum's price increases against the USD. You can use CFD's to open short and long positions, to take advantage of rising or falling markets. Ethereum can be traded on our easyMarkets trading platforms, as well as on Metatrader 4 (MT4). What's the difference between Bitcoin and Ethereum? Similar to Bitcoin, Ethereum is a publicly distributed blockchain network. Although there are some substantial similarities between Bitcoin and Ethereum, the most important noted distinction is that Bitcoin and Ethereum differ substantially in purpose and capability and are driven by different processes. Bitcoin offers a specific type of blockchain technology called a 'peer to peer' electronic cash system which enables online transfer of payments. Blockchain technology has been used to create applications which go beyond just supporting cryprocurrency transactions. These new applications like Ethereum are sometimes referred to as blockchain 2.0 or crypto 2.0. Launched in 2015, Ethereum is the largest and most established open ended decentralised software platform that supports smart contracts and distributed applications. It is clearly more than just a cryprocurrency that includes its own programming language. Whilst both Bitcoin and Ethereum are powered by distributed ledgers, Ethereum is an expanded version of Bitcoin that support additional automated functionality and a wider commercial application. Use the live interactive Ethereum price chart below to view the market and consider your trading opportunities and strategy. Use the chart drawing tools to place support and resistance lines on the chart to determine trading parameters. Why trade Ethereum with easyMarkets? 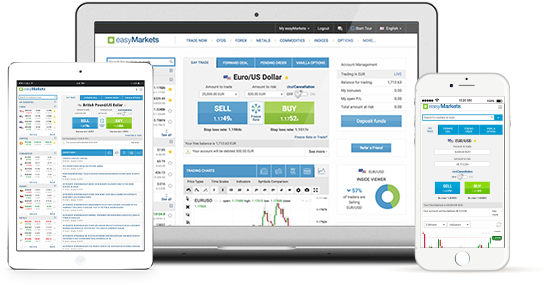 easyMarkets opened up forex trading to the retail market making it accessible to anyone with an internet connection. 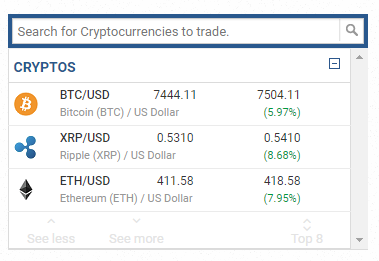 Now they’re doing it again by simplifying Ethereum trading so you can access the most exciting asset in the market today. Our team is ready to answer your questions and help you get started. Since 2001, trader safety has been at the core of everything we do. Trade on mobile, tablet or PC with superior platform execution. Our market experts will help you understand this new & exciting asset. Our web trading platform features fixed spreads, zero slippage and an extremely user-friendly interface. New traders will find it easy to navigate and experienced clients will find all the tools they need. Access markets anywhere with an internet connect on any Android and iOS device. It features the same great tools and usability as our web platform with the option to set up price notifications when the app isn’t open, so you are never caught by surprise. 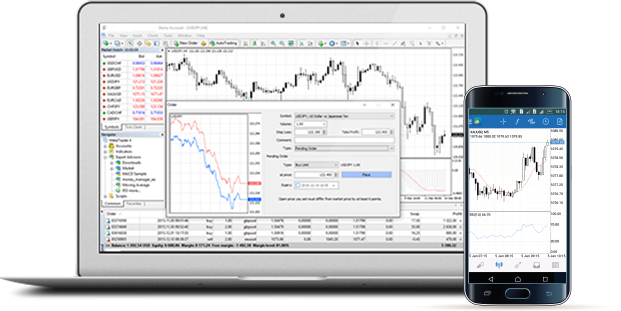 MT4 offers analysis and automated trading tools like chart overlays, price alerts and EAs. 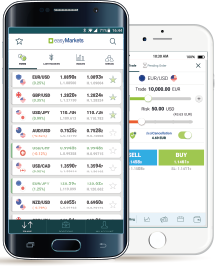 Now you can combine easyMarkets trading conditions – like fixed spreads – with the tools available on MT4. Not at all. With easyMarkets you are simply speculating on the price movement of Ethereum ($). You never actually need to purchase any Ethereum, which means you're never exposed to your Ethereum being stolen or hacked from within an unregulated exchange. There are many factors that determine safety when trading and we try our best to support a safe trading environment. We can confirm that your capital wont be stolen or hacked such as cases with unregulated exchanges that have been hacked and Ethereum stolen. When trading with easyMarkets, your funds are held in segregated accounts separate to company funds that only you can access. Yes. We offer Ethereum trading across all our platforms as well as MT4.